Under the Sky: I feel Beeyoutiful! 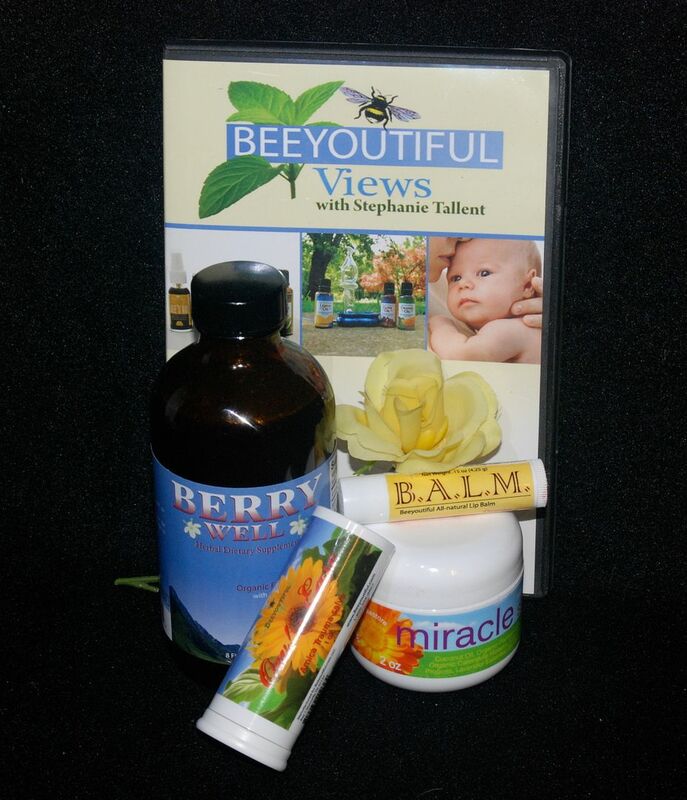 We received three different packages to review. And the one I am reviewing today, the makeup set. 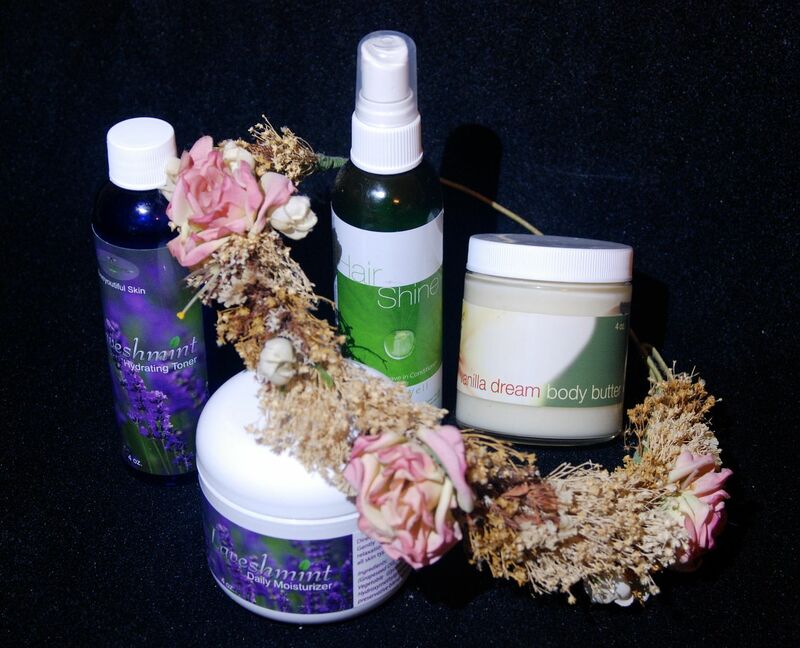 The makeup is not sold on their normal website, Beeyoutiful.com, but has its very own website, BeeyoutifulSkin.com. Here you can see all the different kinds of mineral makeup they sell. But I don't want to get ahead of myself! What goes onto your skin is a combination of up to four minerals that are baked at different temperatures to achieve the desired color. 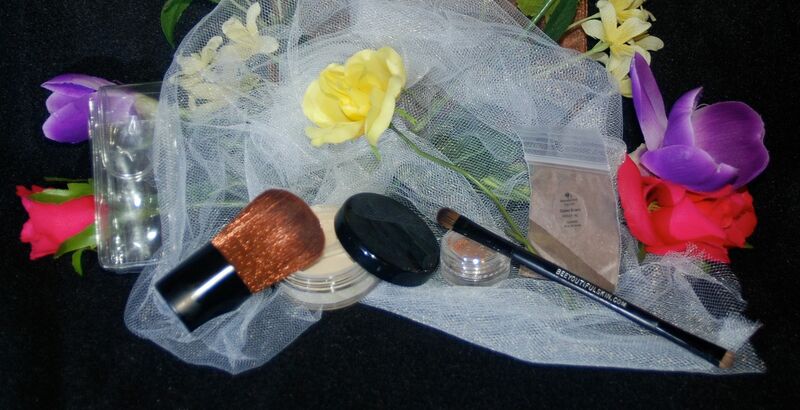 Our entire makeup line is 100% pure minerals, which means there are no fillers or additives of any kind. We selected our foundation first out of 24 colors. Because I have very fair skin, I narrowed it down by clicking the "Fair" on the left. They also have foundation charts to help you. If you are really unsure, you can order samples for a $1.00. Any sample of any of their makeup products are available in sample sizing so if you are really unsure after the foundation charts, definitely order the samples first. I selected Ophelia. We also received the Foundation Brush ($11.00) that is essential to applying mineral makeup. It is a soft yet thick brush that moves around your eye and face to spread the foundation around. The eye colors are similar. It does not take a lot to give your eye good coverage and the colors have a beautiful sheen to them that last and really highlight the eyes. The selection is large and the fact you can use them for your eyes as well as your lips speaks volumes to those looking for more bang for their mineral buck. BeeyoutifulSkin.com sells their makeup by weight. The foundation is 3.7g for $25.00 and the eye colors are .44g to .47g for $10.00. Because we did not receive a full 3.7g in foundation, I cannot tell you how long it should last. I have been eking mine along and not been using it every day so it has lasted longer than it would have had I used it every day. I really love it though, and will definitely buy it to use regularly. Do you want to join the Schoolhouse Review Crew?